Chasmata is a free event that brings together music and the cosmos in an unprecedented way. Organized in collaboration with the European Space Agency and BBK, Chasmata will allow audiences to “travel to space” thanks to unseen images of planet Mars and astronaut Pedro Duque. The public will enjoy a unique, immersive concert performed by over 120 saxophone players—who will bestrategically situated in different parts of the building—and will be able to interact with their electronic devices. Related to the event above and thanks to a pioneering collaboration between a museum and a space agency, astronaut Pedro Duque will offer a talk to high school students of Biscay about his experiences in the space missions he has participated in, will share advice to students interested in science and space, and will answer their questions. Note: capacity for Pedro Duque’s talk is already full. Students were selected by a draw celebrated before a notary. 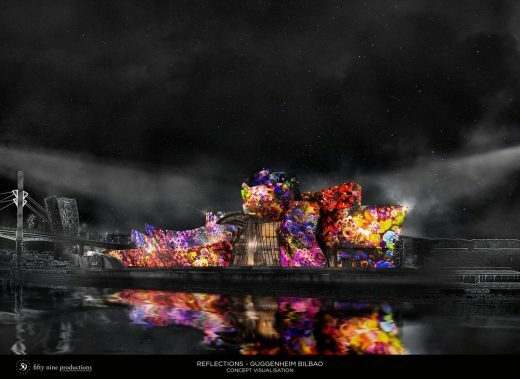 Reflections is a mapping show that will project images on the Frank Gehry–designed building. 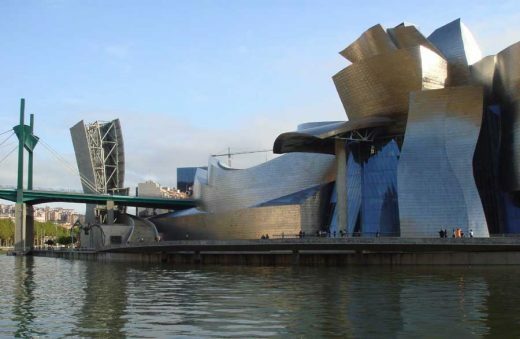 An open, free event, Reflections has been possible thanks to the collaboration of the City of Bilbao, the Provincial Council of Biscay, and Iberdrola. 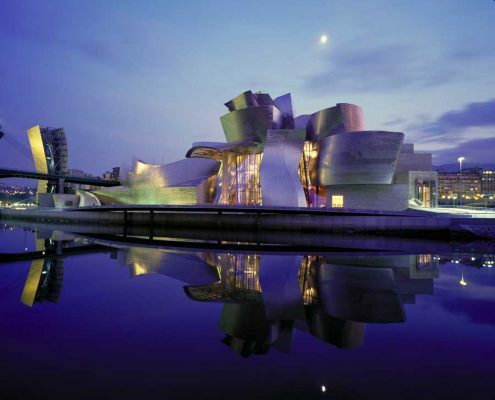 During four consecutive evenings with seven continuous passes each, the Museum will turn into an unforgettable experience combining music, light, and images for over 200,000 people. A show by 59 Productions. Note: this event is open to the public. Free access, no reservations. 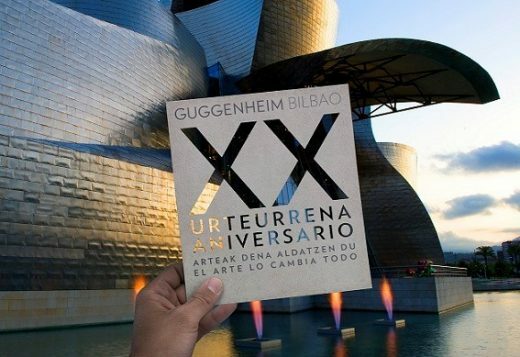 On October 11 there will be two locations reserved for the media: the central projection tower for TVs and photographers (Avenida de las universidades nº 5) and the Puente de la Salve stairs (Avenida de las universidades nº1) for journalists. Media interested should go to these locations between 7:30 and 8 pm.